For Doc, mechanical design and engineering are fascinating, and the great names and objects of bygone eras captivate his mind. Impressive individuals such as Frederic Moskviocs, engineer for the Stutz Motor Company; General John T. Thompson, originator of the prohibition period submachine gun; and Pratt & Whitney with their radial aircraft engine design….. these are the people who he believes deserve recognition. He does not concern himself with the functions or consequences of these products but he reflects only upon each person for their capabilities. 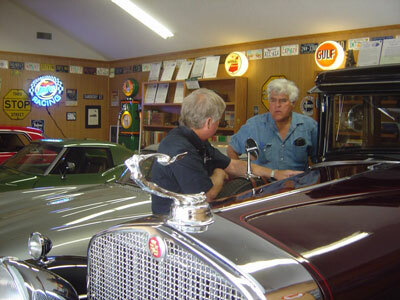 Items in Doc's collection have included; a P-51 fighter aircraft engine, machine guns of various designs and most importantly unique automobiles. In 2012, Doc's extremely rare McFarlan was invited to the Indy Centennial. The historic race/test track solicited the twenty-four names plates that ran in the Indianapolis 500 in May of 1912. This rare vehicle was manufactured with a 573.5 cubic inch, six cylinder which required 24 valves and 18 spark plugs to make it run. A monster of a car, and in fact, Al Capone purchased one for his wife and the quote was; “…and the little lady lacked the muscle to drive the car”. 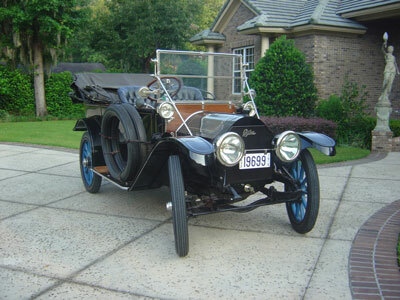 Another almost non-existent car in Doc's collection is a 1929 Stearns-Knight. This huge vehicle lacks camshaft and engine valves. With an engine weight approaching a quarter of a ton, it operates on the patented ‘Knight’ principal of sleeves moving on the cylinder walls to open and close intake and exhaust ports. 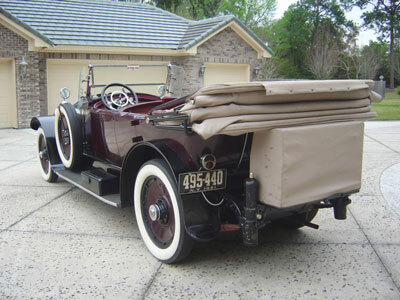 And for the 100th anniversary of Cadillac, Doc drove his 1912 Cadillac to the national convention. This was the first car to provide women with the ability to drive their family automobile as it was equipped with the Kettering starter. Charles Kettering, owner of the Dayton Engineering Laboratories Co., had recently sold the electric start mechanism to Henry M. Leland, president of Cadillac. Kettering. Having worked on his design since 1910 accomplished this engineering marvel by realizing that two factors were requisite in order to make his theory practical and workable. First, a combination generator/starter needed an overriding clutch with a reduction gear about 20:1 from the starter to the flywheel. And second, this invention had to have a two-gear ratio assembly; slow speed for starting and high speed for generating. Some people may label Doc as a loner for the countless hours he spends in the reconstruction and restoration of mechanical objects in his workshop. Yet this time allows him to relive and understand engineering feats and ponder another's mechanical achievement. He will source parts, have items machined, or rebuild assemblies to perfect accuracy so they function and appear as they did when first designed. This detail accuracy carries over to his quest for visual perfection in the item he possesses and includes period correctness, right down to the vintage old license plates. A 1961 Impala Super Sport? Yes sir. Yes mam. Many auto enthusiasts believe and will convey that 1962 was the first year for the SS package; but they’d be wrong! 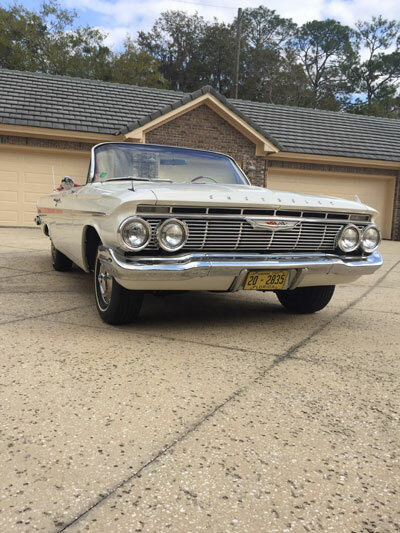 These Impala Super Sports came into production late in the model year 1961. And Doc can prove it. He has one of the rare 1961 Impala Super Sport models, which was one of just 453 of that model built in that year. There are a lot of ‘clones’ around but documented cars are rare. This option package was available on five different body styles and it did not include bucket seats. Doc’s parents gave him new Impala convertible when he graduated from military school in central New York State. Most recently, we were thrilled to supply Doc with the correct real and vintage old 1961 Florida license plate from St Johns County that he needed. It is the finishing touch for this classic and collectible beauty. Beyond the mechanics; beautiful, elegant, and timeless. Masterpieces with personality. Can the visual design of vintage automobiles speak to us? Undoubtedly. Today’s mass produced automobiles miss the elegant curves and handcrafted touches and finishes that vintage automobiles afford. Fortunately, vehicles from the past still speak to us today. Each one has a personality. Take for an example Doc’s 1933 Rolls Royce Phantom II. From ivory capped door knobs to silver plated trim, this automobile says “class”. 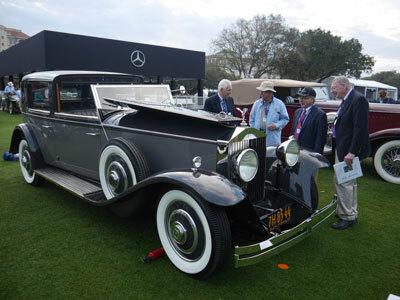 In 2016, Doc won the Concours d’Elegance at Amelia Island, Florida. There was a feature on the Discovery Chanel’s Competition Ready that featured this beautiful Rolls Royce while it was being prepared to present at the Concours d’Elegance. Sporting Vintage 1933 California license plates, this vehicle is the obvious standout in any crowd. Since 2003, ShopLicensePlates has been the preferred and trusted supplier to automobile enthusiasts from around the world. These gems add the final touch for cars, trucks, and motorcycles of all kinds. With almost 20,000 old license plates available from the US, Canada, Mexico, Island Nations, Other Countries and in Bulk, we strive to fill the needs of collectors and we’re here to answer any questions or to fill any need you may have.